I thought so. Send me a private message please. Moving right along. 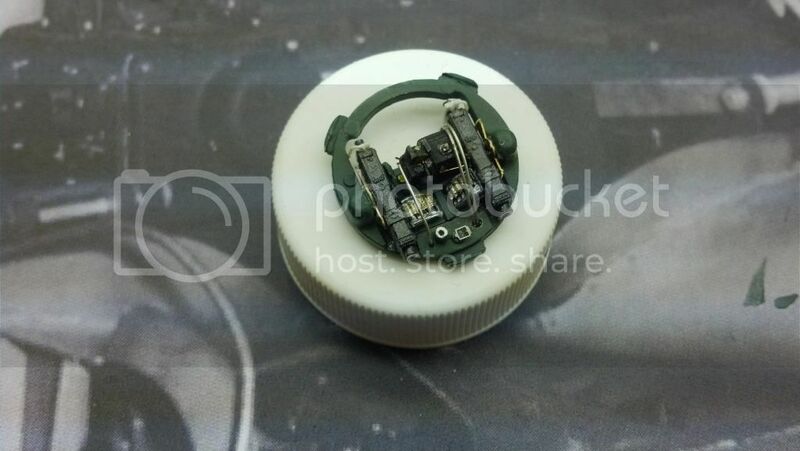 The Revell kit had the pilots' cockpit glass molded in one piece. You can see I removed the top windows from the rest of the part using this razor saw, cutting from above the side windows and below the roof windows along the edge. It went well; the saw worked great. I was "sold on it" by my modeling friend in NC and ordered it online from Micromark. A great tool. 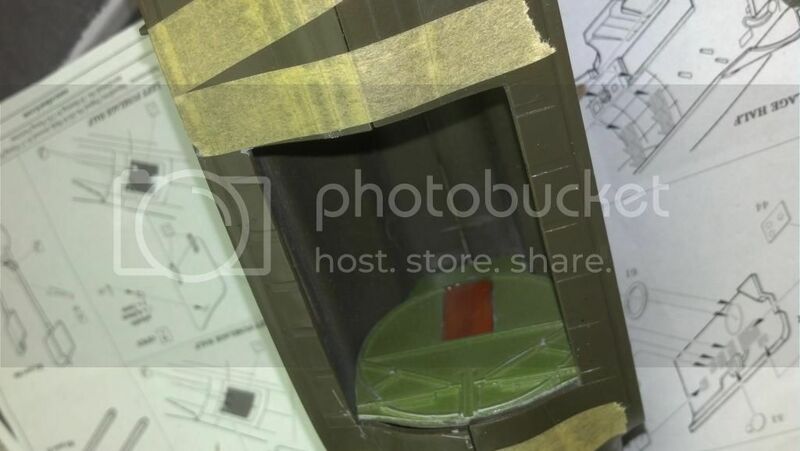 Looking at the picture of the real thing, I believe I will have to cut the center glass piece out from the roof windows model part to make depth for radio and other equipment located in the center between the windows. That's next, plus some wiring gingerbread in the top of the top turret that I overlooked in the rush to get it done. More pics coming soon. Well, the Cockpit is 99% done. 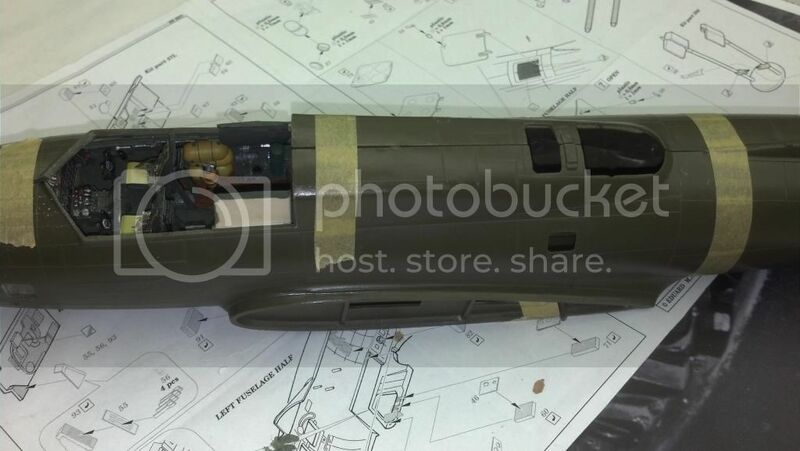 The first three pictures show what I added to the top turret, and how the cockpit roof glass looks from the exterior. 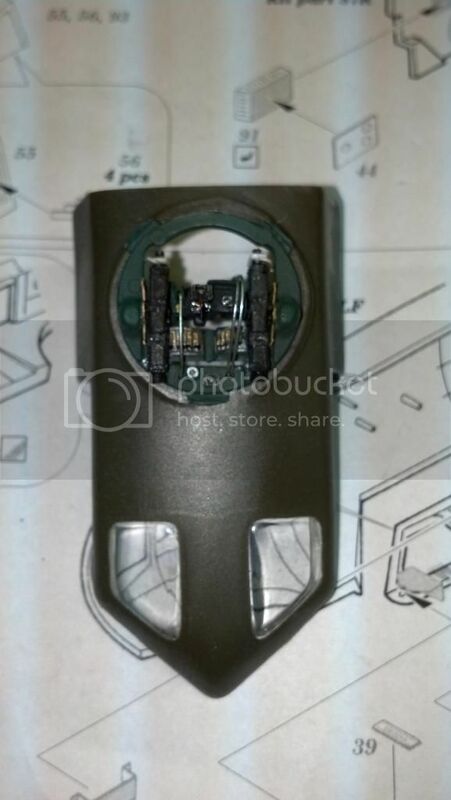 The principal additions are the silver wire from the front of the turret to the left side of the K-3 sight, and the two on the right leading over the sight, which terminate underneath the top behind the turret controller. 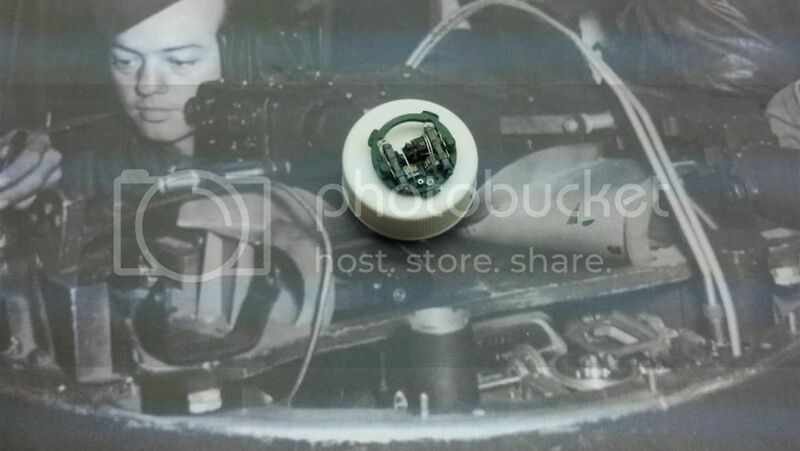 On this close up you can see a small electrical wire from the front center of the K-3 sight running under the large wires to the right. This I believe is a power connection. Finally here is an overhjead shot showing the turret top in the roof apetature with he glued-in windows forward. I was happy with how the glass came out, seeing as I used crazy glue! Next we go to the cockpit roof shown off against Gil Cohen's painting about Second Schweinfurt, "Almost Home." Interestingly, the prints available for this picture bear 10 veteran signatures from that raid, and one of them is by the late Bud Klint, Luscious Lady's copilot on that infamous mission. You can see that I dressed up the boxes with some spare photo-etched wire at the top left and bottom center right. If somebody sneaks a peak at the interior cockpit roof, they'll get a hint of the wiring. That's as far as I want to go. Tomorrow I'll do a final shot showing two changes I made to the cockpit itself, and then it will be on to the Bomb Bay, though first I must cut the radio room roof out and fit-up the one I did with my friend in North Carolina. That's because the radio room ceiling extends into the space above the bomb bay. Gotta make sure there are no clearance problems! I can hardly believe I have the pilots' compartment and top turret done, but they are! In the first you can see, just off the right front corner of the copilot's seat, that I added a long handle extending down to the floor. That's a manual hydraulic pump lever. Just ahead of it on the side bulkhead is some oxygen hose I added. It's kind of dangling to the floor, not the best housekeeping, but * * * I didn't want bare oxygen regulators. 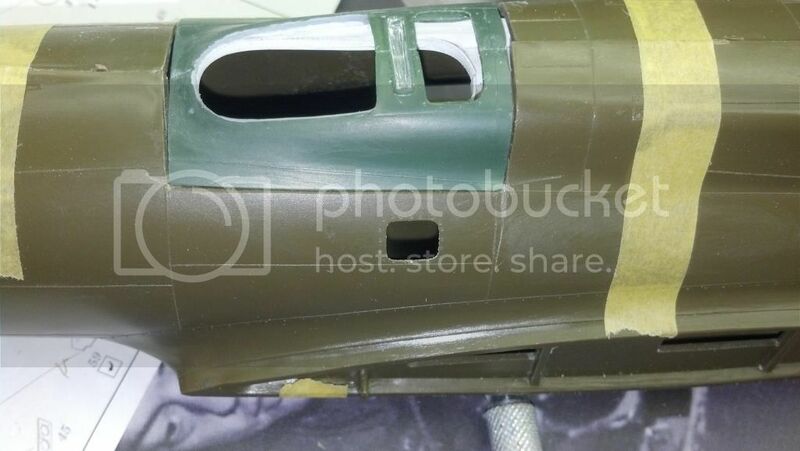 Finally, in the right rear, I repainted the two cylinders the richer "foilage green" present on the turret. (They had popped off earlier and had to be cleaned up and re-positioned so they wouldn't interfere with the after starboard bulkhead.) I think the richer green makes for a nicer contrast, and is just as probable as bronze green. Below is a forward-to-aft shot of the cockpit with these additions, and after that a similar view with the roof loosely placed in position. Unfortunately, one really won't be able to see much with the turret installed. I'm toying with the idea of making the whole turret removable, but probably not. This definitely feels like a milestone, BTW. Next I'll be taping the fuselage halves together. Then I will cut the opening for the radio room roof that was fabricated in NC. After that it's on to the Bomb-Bay, with many issues about "how much is too much" detail to add. I do not want to go overboard with this part of the build. TAPE TOGETHER OF FUSELAGE - OH DEAR! I remember what I'm about to show you from my build of this kit in the 80s. The fuselage fit ranges from marginal to horrible. It is at its best near the tail, and gets progressively worse as one goes forward. The worst area by far is the nose, which just happens to me the immediate focal point of the model. I think the solution will be filling the gap with bar stock. Alternately, I could squeeze the top shut and leave a gap in the bottom, but I don't think that will eliminate the problems topside. I am absolutely sure this is not due to any obstructions from the nose interior, but instead the result of built-in parts warpage. The fit of the roof over the cockpit isn't much better. Here you can see how the decking behind it also splits despite tape pressure. I tried fitting it a while ago and getting the fuselage deck to conform to the roof part contour will be another challenge. Finally, here's a shot of the open bomb bay. While you can see a gap on the left front, this is one area where the gap disappears and the parts align nicely with a little pressure. I'm confident it will line up easily when glued together. It goes without saying that putting the fuselage together is one of the most critical construction phases in building this beast. Tonight I will start sawing out the radio room roof to make room for the piece done in NC. "Modular construction!" Well, another "challenge" in an already challenging build. I'm sure it's fixable, but * * * like flying a real B-17 mission, there's always the knowledge that you might not complete it. Or, as Scarlett O'Hara said in Gone With The Wind: “I can't think about that right now. If I do, I'll go crazy. I'll think about that tomorrow.” I have no choice but to "Press on Regardless," with knowledge that "Issue in Doubt." Nothing some plastic strip and putty won't fix Brian,irritating though. Love and appreciate your Gone With the Wind thoughts. Removed by original poster on 07/25/14 - 12:20:38 (GMT). Yes, that's what I'm messing with now. It fits better but the final fix will have to await gluing of the fuselage haves together. Even in tears she was beautiful. Thanks. Not too sure how many of the under 30 or even 40 yr. old members actually have seen, or can appreciate the scope and magnitude of Gone with the Wind. By today's standards it's certainly dated. Finally got a chance to really spend the time to look at your completed cockpit pictures. Simply outstanding. Detail, and more detail every where one looks. 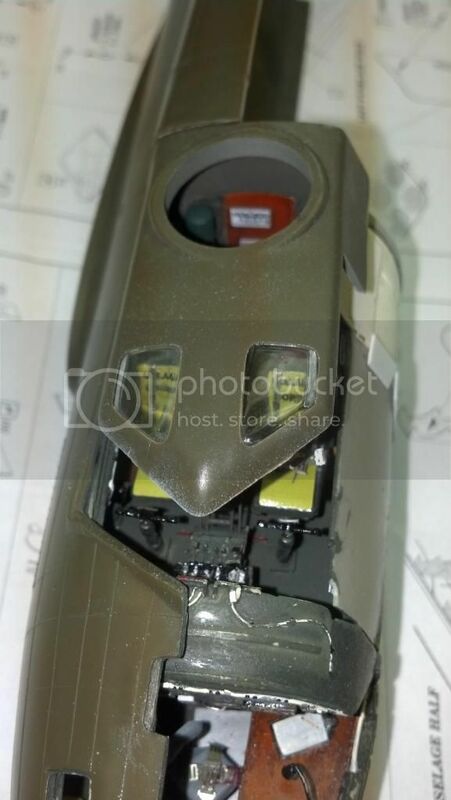 Those two canisters now painted Foliage Green looks like they belong, but don't over power the "scene". 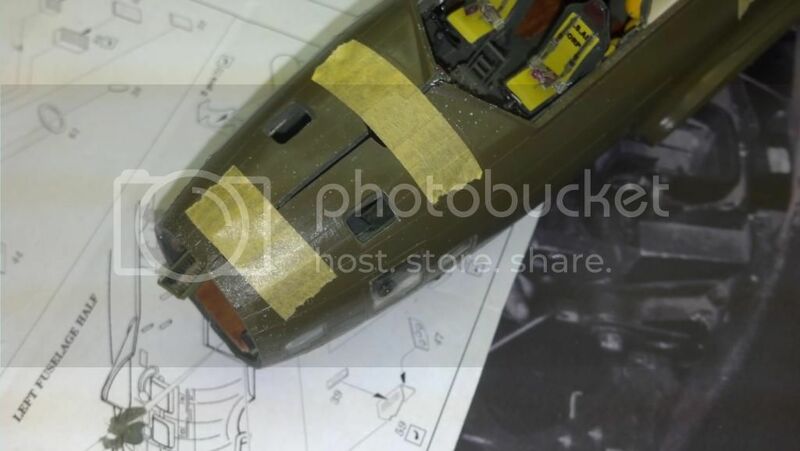 As for the fuselage fit, I can sympathize with what you're going through, as I"m having similar fit issues with the A-6E, but not to that degree. As Julian said, some sheet plastic & putty, and you're good to go. You're a youngster. I'll be 67 come Nov. And lately I feel every year of it. These days I'm into murder mystery series by authors such as James Patterson, John Grisham, David Ballacci and Michael Connelly. Right now I'm reading Block Box by Connelly. You should see the looks I get from the kids at work. Like they've never seen a real book before. 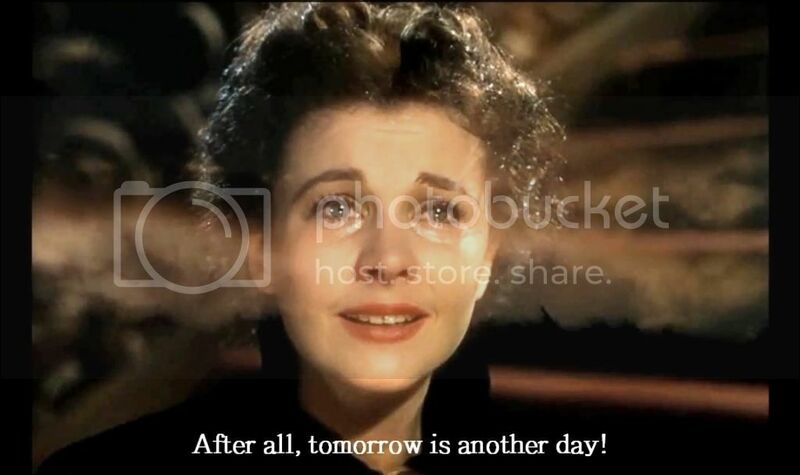 First, re GWTW. If it's dated, it's like a 100-year-old bottle of French cognac. An extraordinary time capsule of a lost American culture [1939!] to be savored occasionally and always remembered. There's no doubt that every member of the 8th AF knew of it, and since Clarke Gable served in the 8th I daresay some of the film's star glamour wore off. Thanks again for the comments on work so far. I have to get my mind off the radio room roof and how it will ultimately fit it, saving that for when the fuselage comes together. I agree that styrene strips and putty should fix it, but it's going to be a real pain. Way too many curved surfaces and flex in the fuselage now, especially with the bomb bay doors cut out. Need a firm foundation and all that. I'm starting the bomb bay tonight. Cf. Kane in Alien. "We've come so far. We must go on." Real build pics coming soon. Grisham and Baldacci are familiar, have you tried any of Gerald Seymour's books? All things usually are relative to ones perspective. Haven't read anything by Seymour as yet. I have been lurking from the beginning but figured I should comment, this is just outstanding work Brian. 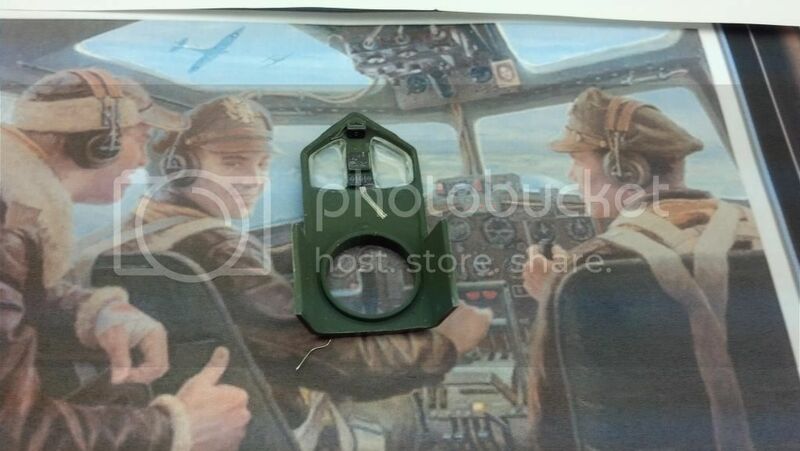 I have a 1/48 B-17G my wife kindly got me for my birthday which I plan to build soon. I will be taking some inspiration from the things you are showing how to do here, it shows some serious effort and skill. I really love those old Monogram bombers, I built them as a little kid with no paint and just a tube of glue. I wish I still had some of them to compare with my more recent efforts. As for movies, I may only be 40 but I do appreciate a classic like GWTW. Alien and Blade Runner are more my speed though. 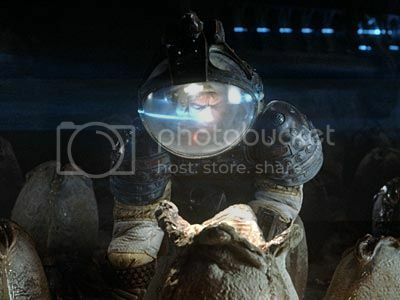 Love those Ridley Scott classics! Thank you kindly for your comments on the build. Trying to orchestrate all this plastic, resin and brass is, well, trying at times, especially dealing with fit issues. But that's part of the fun of it. I don't really know how a particular compartment is going to look until it's nearly done, and even then there are surprises. I am especially pleased knowing that the build is helpful to others. 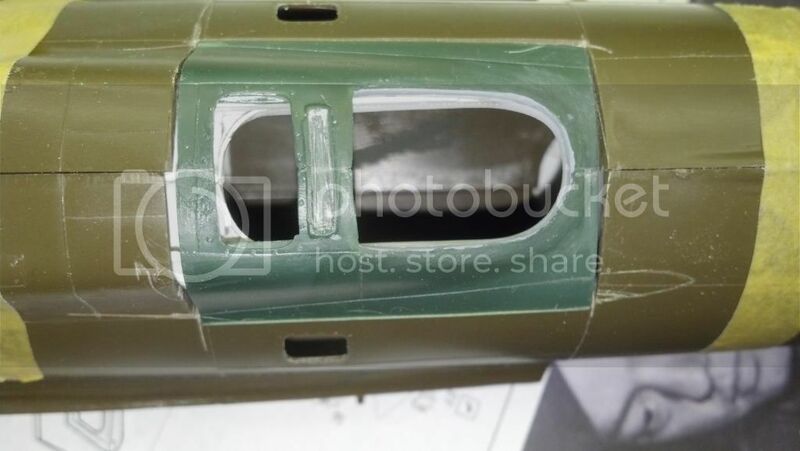 If it comes out right in the end, it will look like a well worn veteran B-17F, inside and out, not over weathered, but definitely used. Later, and "props" again on that P-51. 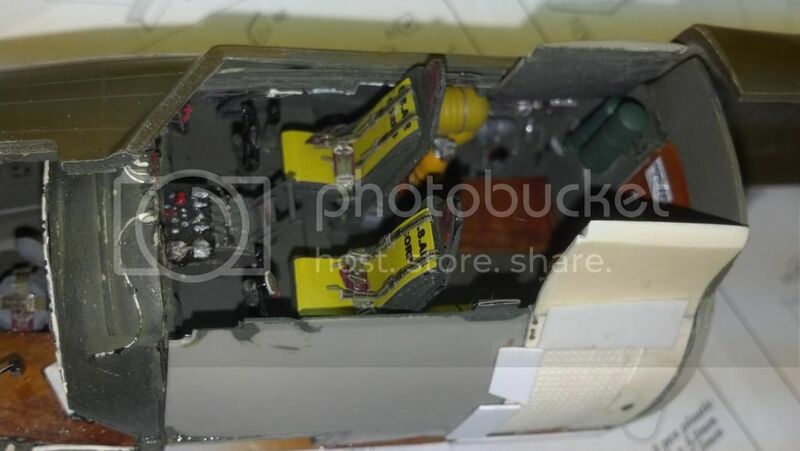 The pilots' after bulkhead obliged me by popping off, which made adding the door handle and door hinges on the forward bulkhead of the bomb bay that much easier. The hinges look better in real life, even though they aren't my best work. 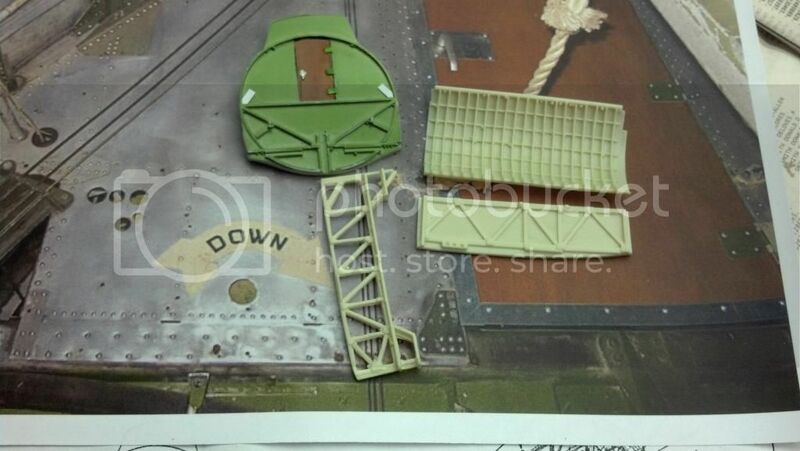 Nobody's gonna be sticking a penlight into the bomb bay to inspect when this is done, and from a distance they will look OK. The white tabs to left and right are rudimentary brackets for control cables. See cables to left of photo. The wires will go on the tabs as a base with another piece, cut with some grooves on the outer surface, sandwiched above them. The wires will extend up to near the top of the door where an equally crude bracket and pulley will go. I hasten to add that I am not striving for full accuracy here--that road leads to madness IMO--just a hopefully pleasant impression of the major details in a hard to see area anyway. 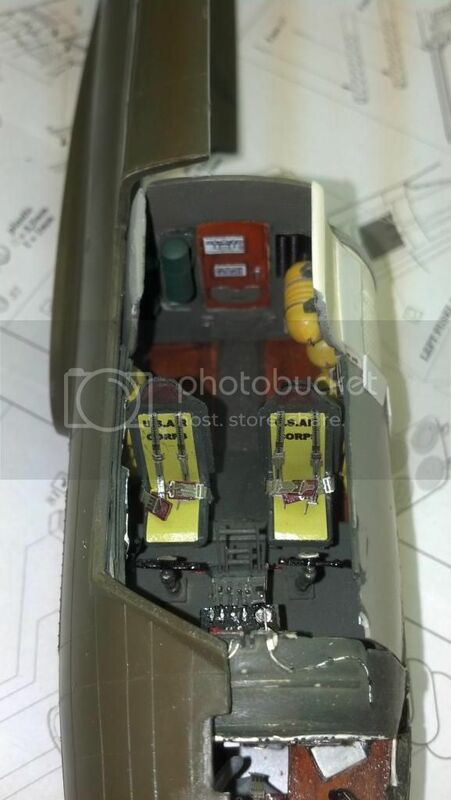 I have seen some builds where others better (or more obsessed) than me have done the Full Monty, including one soul who did what looked like a complete wiring job throughout the interior of a 1/48 B-17G. Not for me. Your work so far is far from just "giving an impression", it's detailing at it's very best. Right from the beginning you've strived to replicate in bits of plastic what one sees in photographs. That's just not an impression of completeness. There is a rational limit to every build, and it's the modeler who decides where and when enough is enough. It's how you get there that counts in my book, and for my money you've maintained that status from day 1. Some times I don't see your latest update in a timely fashion as notifications still doesn't work consistently for me since the last site update. And even then the links takes me to Mandrillapp.com 1st? Never seen that before. Oh well, it's still better then when neither didn't work. I've done a fair amount on this bulkhead since the last post. Will have a new post up fairly soon. There will be a few surprises. 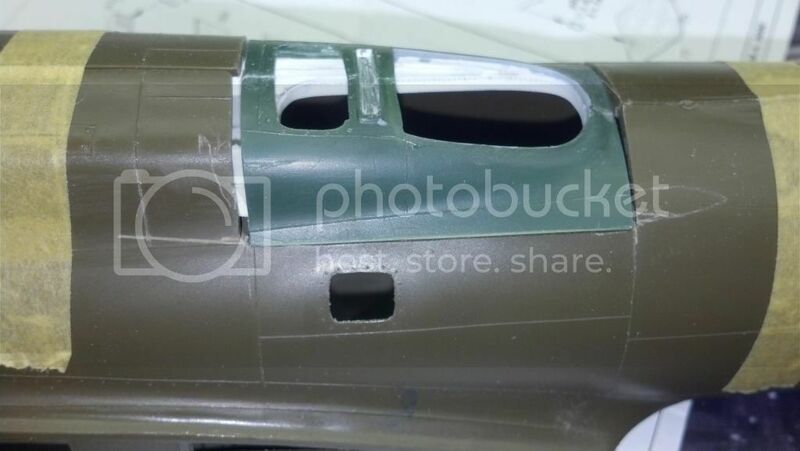 This is a warts and all look at the forward bulkhead of the bomb bay so far. It's one of these things best viewed from afar, through a gauzy lens, but my cellphone camera won't oblige. I'm trying to do this A/C system by A/C system. The Detail Models set is itself no more than a skeleton of what the real A/C held. 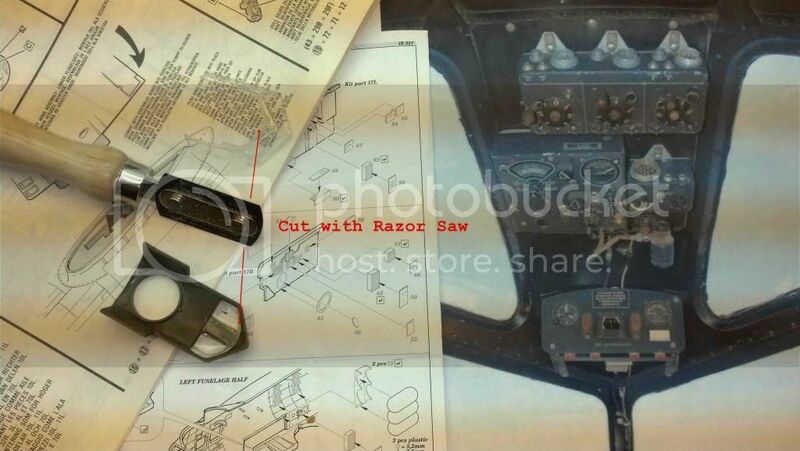 Below pic is from the B-17 Pilot's Manual. 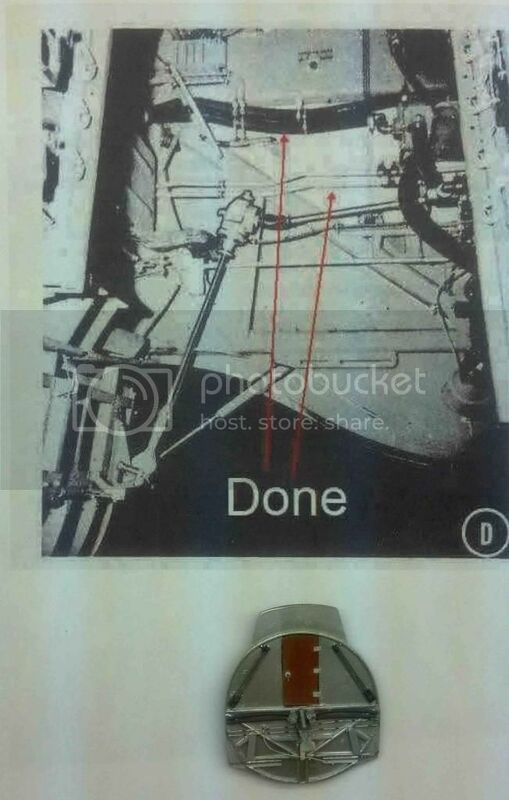 The large black pipes at the top marked "Done" are from a complex fuel transfer system located in the bomb bay. I still haven't figured out what the smaller pipes below, also marked "Done" are: my guess is they are also fuel lines, not shielded electrical cables. 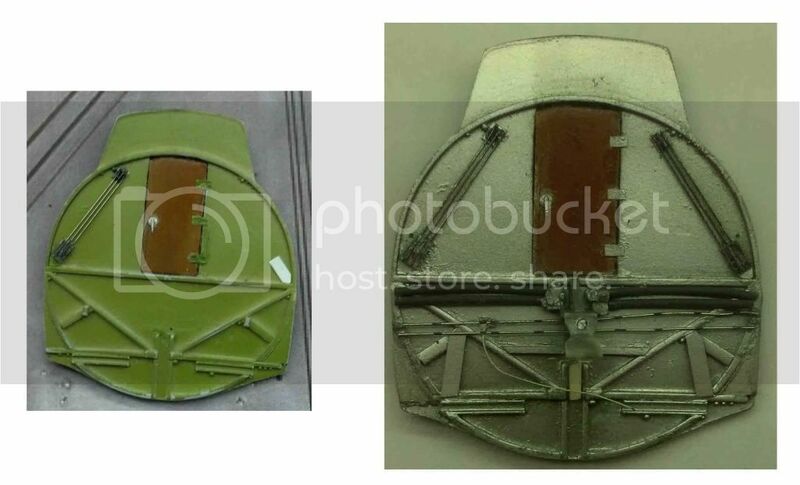 Below is an OMG comparison shot between the bulkhead as originally painted in "interior green" and how I am now convinced it appeared in real life: naked aluminum, with details in progress. More on my reasoning about the bomb bay colors later. For now I shudder at how messy the part is. My only defense is the the real thing was grungy as hell, and that digital pics of metal paint pick up absolutely every blemish. Much more detailing to follow to obscure things further and distract the eye. A remarkable job of an old kit. I was young enough when I built this kit that my parents made me build it out in the garage (because I was using spray paint - I couldn't afford and didn't own an airbrush then. I'm not sure I even know what they were at the time)but it was a good few months and I really enjoyed it - even if you couldn't bribe me to post a photo of it now.